For writing command line applications in Java, what is the best library for parsing and managing arguments and paramenters? Note: this question is an updated version of this closed question on Stack Overflow. It is designed to be included in source form. 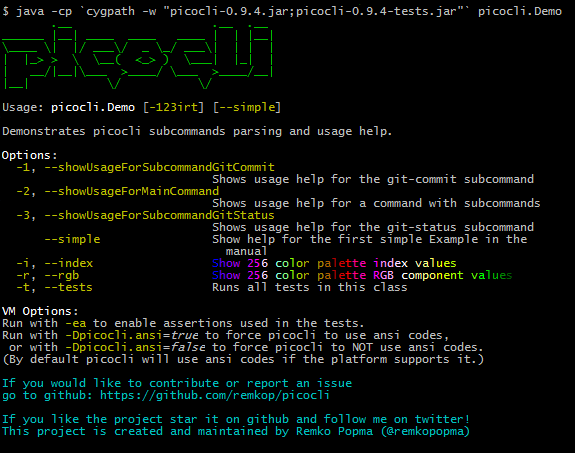 This lets users run picocli-based applications without requiring picocli as an external dependency. Generates polished and easily tailored usage help, using ANSI colors when the underlying platform supports it. An arity model that allows a minimum, maximum and variable number of parameters, e.g, "1..*", "3..5"
Usage help is the face of your application, so be creative and have fun! I recommend JOpt Simple. 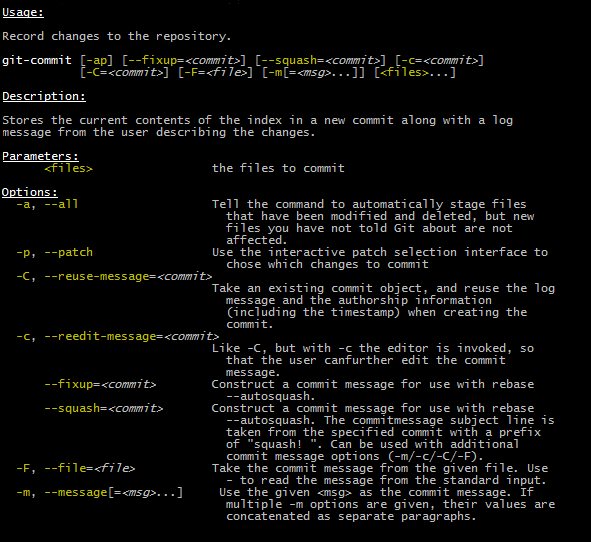 It 'attempts to honor the command line option syntaxes of POSIX getopt() and GNU getopt_long().' It has community traction and notably is the command line parsing lib of choice for the OpenJDK itself. For comparison, here's a relatively up to date (as of Jan 2015) list of related libraries that serve the same purpose. My choice goes to JCommander. As of Oct 2016, have to start a new project and finally decided to do arguments the smart way. Just compared Jopt-simple, JCommander, args4j. Choice reason: only JCommander and args4j have annotations, only JOpt-simple and JCommander have a great tutorial. Not the answer you're looking for? Browse other questions tagged java command-line or ask your own question.